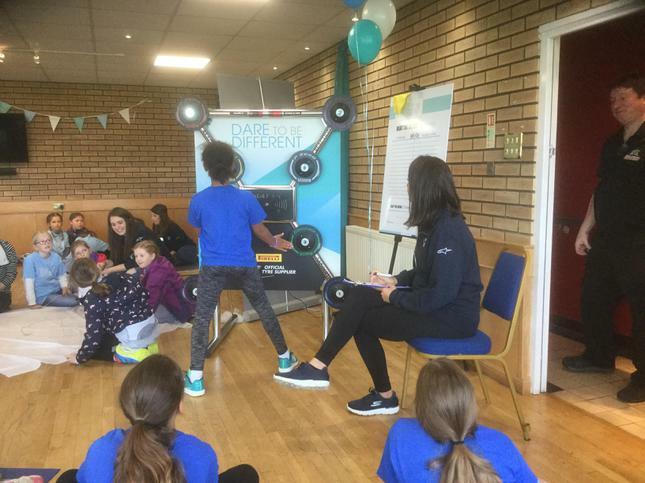 Welcome to our 'DARE 2 BE DIFFERENT' webpage! 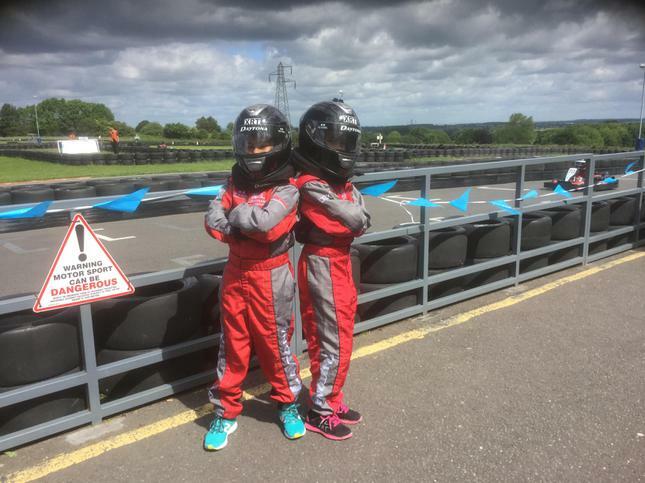 D2BD was created by Susie Wolff, a famous British racing driver, with the aim of encouraging girls like us to get into motor sport and engineering. 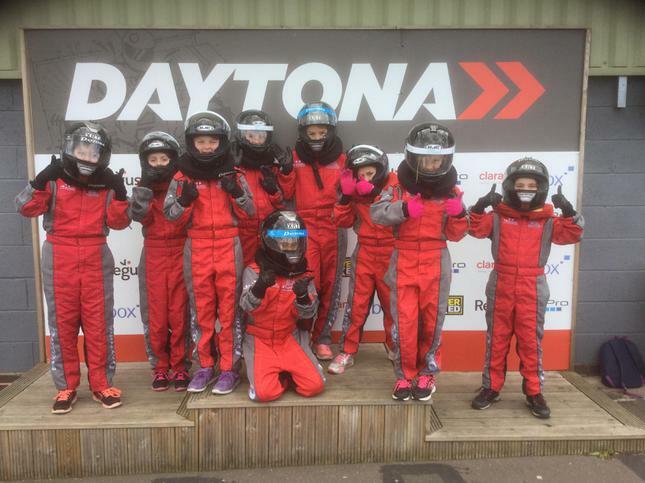 Ten girls from Years 5 and 6 went to an event at Daytona Raceway in Tamworth on the 7th June. 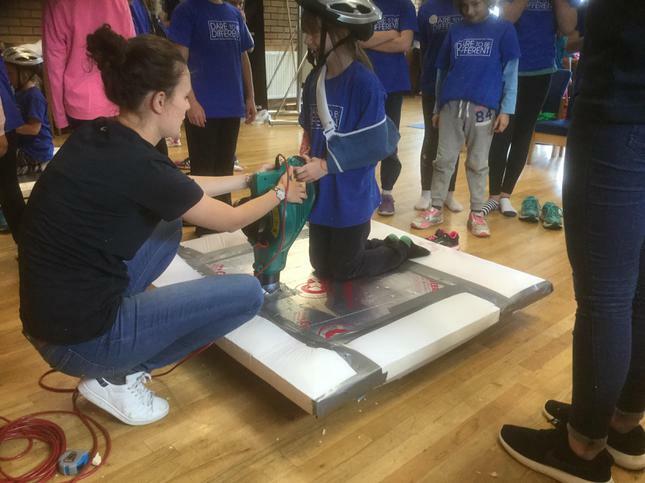 We had the opportunity to to experience what working in the motor sport industry feels like, with fun activities like having a go at a pit stop, testing our reactions on the batak challenge, racing the go karts, reporting for Sky News, working with the race doctor to learn about CPR and having a go at making a hover board! 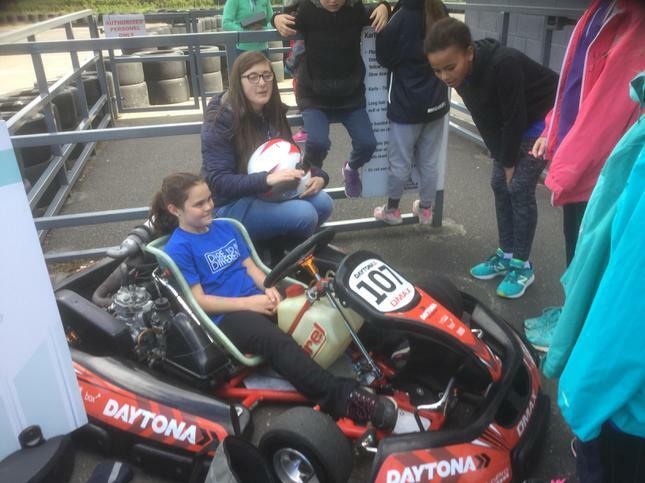 We also had the chance to meet a professional female karter, Charlotte Manton, who showed us her kart and equipment and her skills racing around the track. 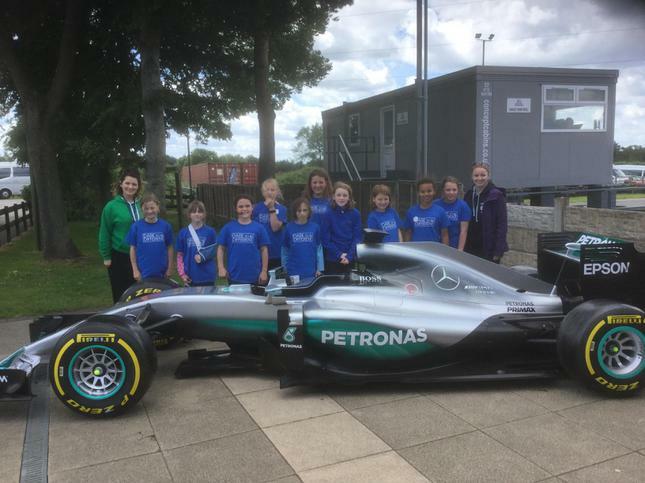 It was also brilliant to be able to get up close to Lewis Hamilton's F1 car! 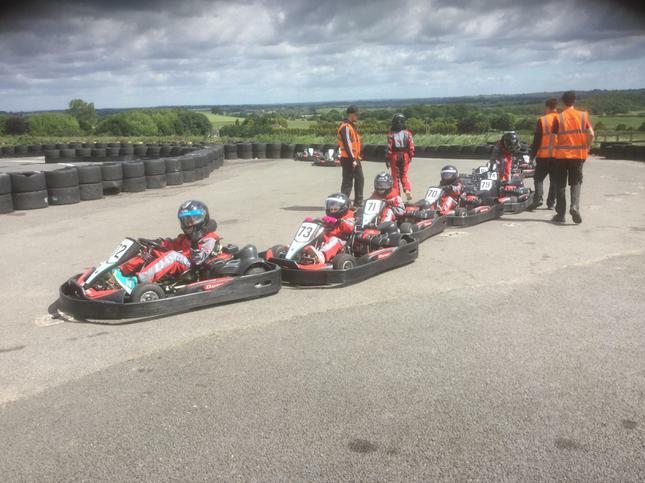 Our D2BD Formula 1 Adventure! When we returned from our Daytona Raceway day, we became 'Dare 2 Be Different Deputies'. 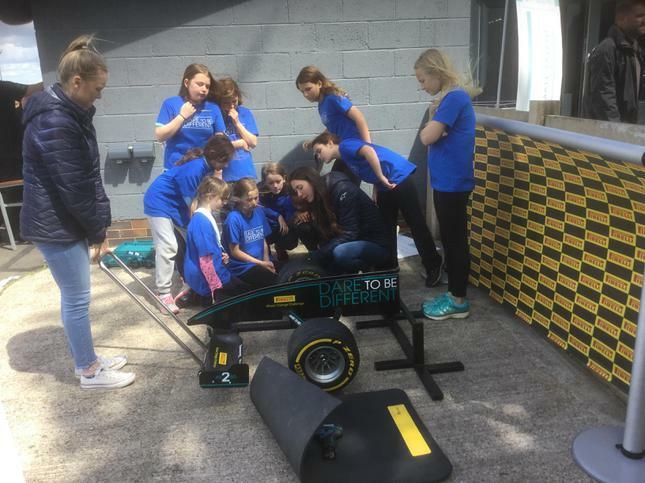 Our job was to spread the word about girls in motor sport, to encourage our friends in Years 5 and 6 to think about a job in engineering in the future. 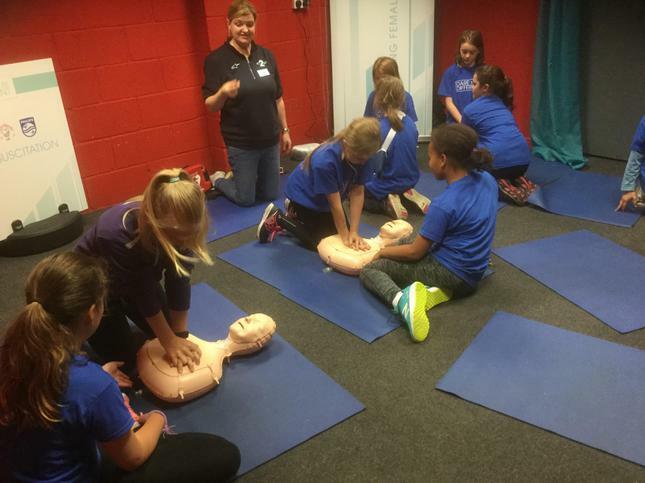 Have a look at the pages below for more information about how we did this. 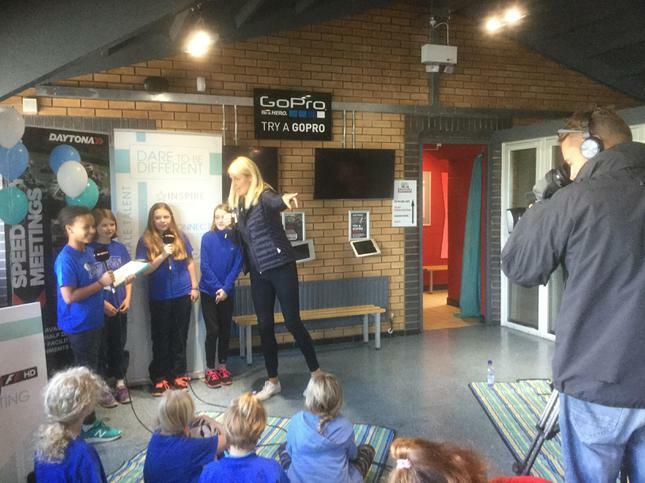 “I think it was very good, because some schools don’t get the opportunity to go, so they would not have the experience we had. 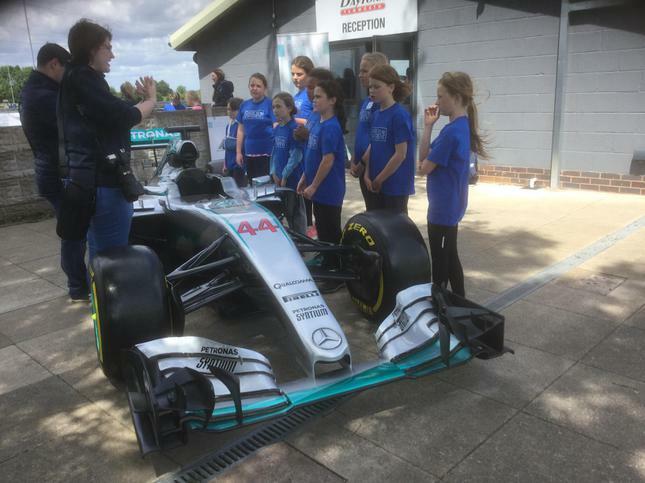 It was good that we did the STEM day at school so other girls could get the chance to learn about engineering and F1”. Katie R.